The Ocean Party have recently released a new full-length. While previous albums have drawn their fair share of acclaim, Soft Focus seems to be the first record where everything fits, everything clicks, and everything works. Usually, saying a band has finally hit its stride by its fourth album isn’t much of a compliment. If a group hasn’t delivered the goods by its first or second full-length release it becomes easier to disregard their future efforts. It’s a harsh aspect of contemporary music consumption, but it’s the truth. The Ocean Party are one of the few bands to buck this trend, thanks to their habit of releasing music in rapid succession. 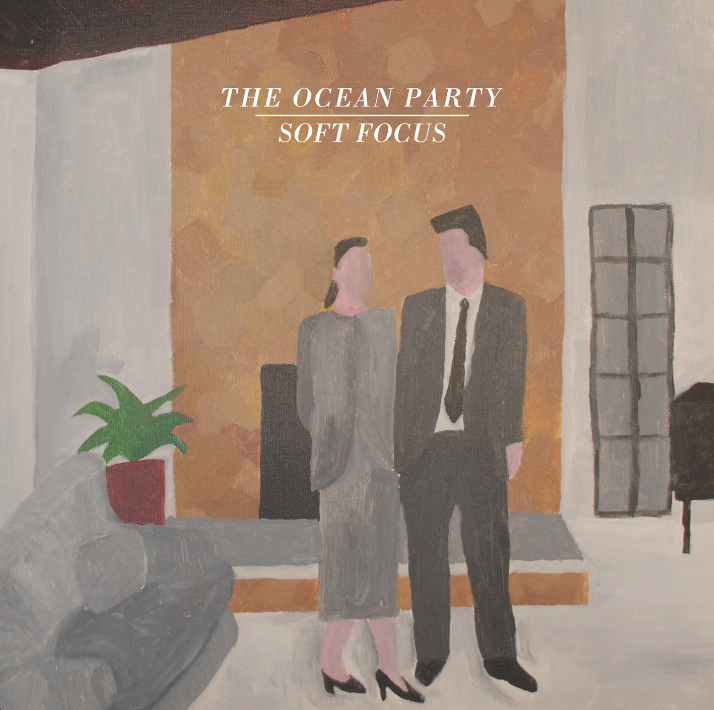 The Ocean Party released their previous record, Split in October 2013, and have recently put out Soft Focus in November of 2014. As of Soft Focus, the Melbourne group have pushed out ten releases of various lengths since 2011, a prolific and rewarding tactic that has kept The Ocean Party in the collective focus of the Australian music public and also in the crosshairs of its critics and judgements. In three years, The Ocean Party have released more material than their peers, bravely showing the progress of their musical journey as often as they can, rather than holding back material for major releases. This approach works for a couple of reasons. First, as their material is released in a constant stream we see their musicianship and creativity grow in increments, becoming more realised and melodic each release. We listeners appreciate this as a gracious gesture from the band, rather than an expectation on our part demanding new material every two years. Second, it eases the pressure on the band to come out with statement releases by being able to create something new and put it out as a signpost of where they are creatively. The Ocean Party release full albums, of course, but they don’t make as big a deal about them as a band that is mostly silent for long periods of time. Constantly being present forces The Ocean Party to work at a consistent pace, but conversely allows them the benefit of the doubt from audiences and critics thanks to the proliferation of music. Soft Focus is the fourth full-length release from The Ocean Party and it is also the most realised and cohesive effort. The band boasts a collection of songwriters who also find time to dabble in side projects (Velcro, Ciggie Witch, Snowy Nasdaq) which can often lead to complications stylistically if the group doesn’t share a singular focus. While previous albums have drawn their fair share of acclaim, Soft Focus seems to be the first record where everything fits, everything clicks, and everything works. The music is the perfect blend of hazy drive and introspective day dreaming. The flourishes, the small details are on point (horns, they have horns!). The Ocean Party have always excelled in detailing their own brand of contemporary ennui, stuck in the grey doldrums of the life/work cycle, trying to find time for colour and fun whenever they can. I suppose nearest touchstones are Real Estate and the soft guitar rock of Twerps – although, unlike those bands, The Ocean Party cruise at a more erratic speed emotionally. Life is full of highs and lows; no band expresses this better than The Ocean Party. I’m not sure what explains Soft Focus being the best release from The Ocean Party to date. The most likely explanation is simply the usual trajectory of growth that comes from being active. The production is great, but so it was on Split as well. The songs are no less impactful, maybe they are just better this time around. The Ocean Party have never not had words to connect with the mixed-up suburban masses, they are as relatable as ever and it’s their relatable and literal lyrics that are one of the most striking aspects of their sound. I guess the group just got it right this time, they paid attention to the little details; they collected a group of songs that flowed well and recorded them perfectly. That’s all it takes to make a good record, and something that so many bands don’t get – practice makes perfect and The Ocean Party are the best at turning practice into practicality.